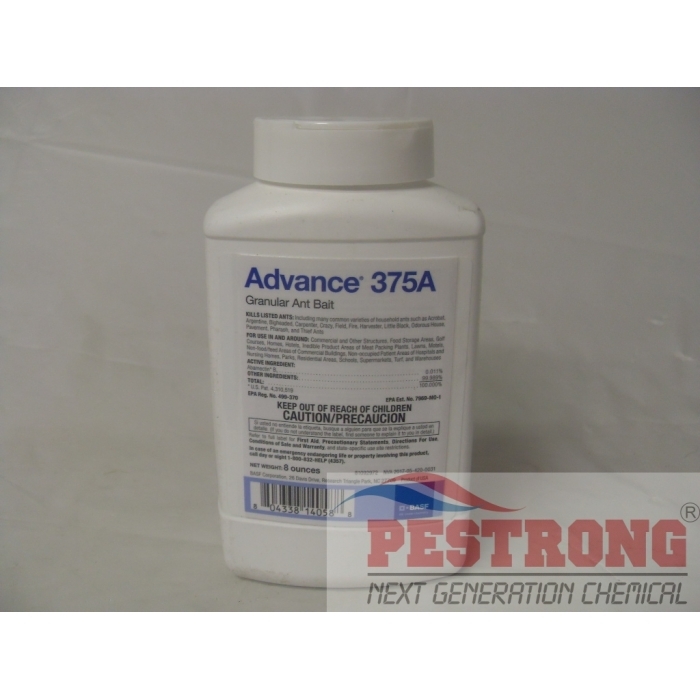 Where to Buy Advance 375A, Advance 375A Select Granular Ant Bait - 8 oz - 2 Lb - $18.55 for Sale with Fast Free Shipping! 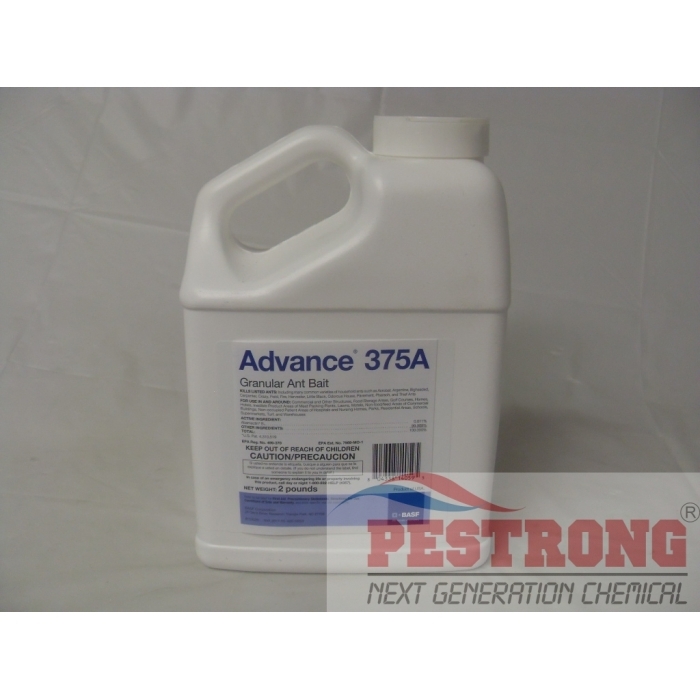 Advance 375A Select Granular Ant Bait - 8 oz - 2 Lb acts to reduce the population of worker ants and can cause an immediate halt in egg production resulting in colony elimination. 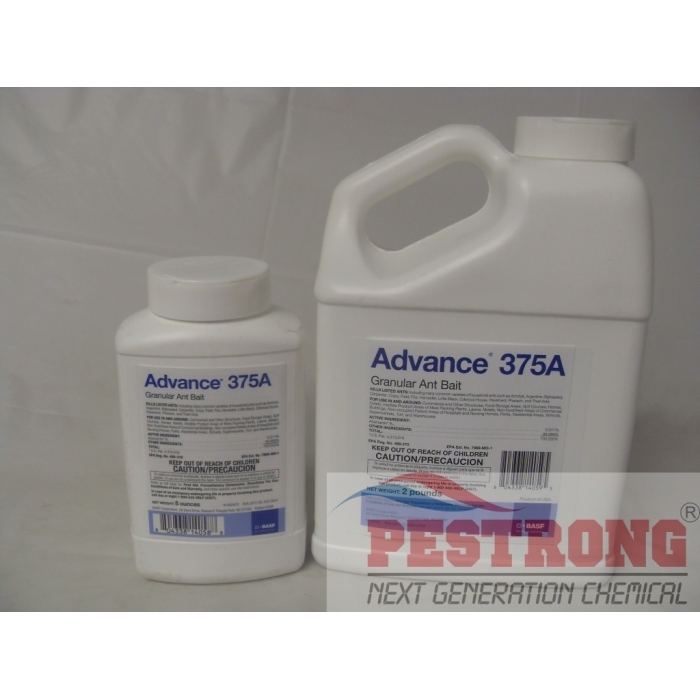 Advance 375A Select Granular Ant Bait Insecticide is a ready-to-use product for use in controlling numerous ants both indoors and outdoors including carpenter ants. This bait formulation combines a mixture of foods and the delayed-action insecticide, Abamectin. Great product, not immediate but effective. It takes a couple of days because the ants haul the food back to their nest where it effectively kills the whole lot of them. Since it is poison soaked corn granules, keep the animals away. The grains are tiny and the coverage is low so it is not much of a problem but one of the dogs was very interested in the area after application. A little bit goes a long way but maybe not as much as the label indicates. I tried the two tablespoons per 1000 sq. ft. Either due to light coverage or possibly rain, it did not work that well. A second application with maybe 4 tablespoons per 1000 sq, ft. and a couple of dry days afterward and perfect! Ants gone. We have a terrible ant problem. We have tried many products which only work short term. This product took a little while to start working, as it is suppose to but has really gotten our ant problem under control.